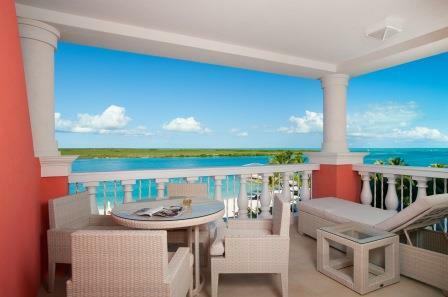 With 35 suites and 16 premier guest rooms, the now All-inclusive Blue Haven is ideally sized for couples, families, solo travelers, and wedding groups to enjoy the resort with all its amenities. The accommodations are spacious, modern and beautifully maintained and the beach and grounds are stunning with many palm trees, grasses and bright tropical flowers to enjoy. 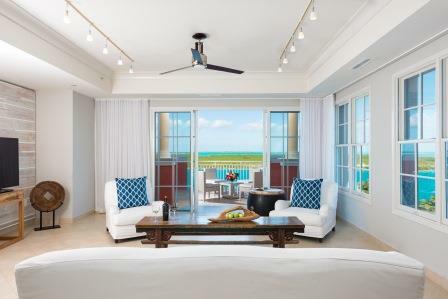 Blue Haven Resort occupies a long stretch of waterfront on the north eastern end of Providenciales so even when the hotel is full, it is always easy to find yourself a peaceful spot to escape, unwind and take in the beautiful surroundings. Blue Haven Resort is directly affiliated with Blue Haven Marina, providing easy access to all your favorite water sports and activities. 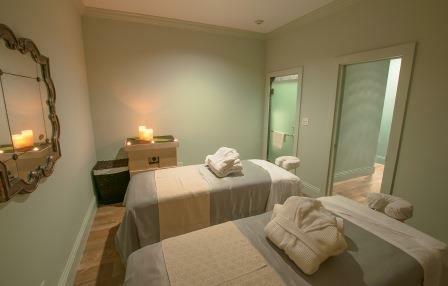 When you return from a day of marine adventure, take advantage of our many land-based amenities. Relax at Elevate Spa; burn some calories at the gym; swim in our infinity-edged pool with swim-up bar or simply have a nap in one of the hammocks on the resort's private beach; play beach volleyball, beach tennis, horseshoes, or even a game of oversize chess; shop for grocery items, snacks and barista coffees at the MARKET; mingle with the marina guests, crew and residents during the daily happy hour at Salt Bar & Grill; indulge in an amazing meal at Fire & Ice Restaurant. Blue Haven Resort offers Fire and Ice, a delightful and elegant waterfront dining venue featuring a contemporary Mediterranean menu, and the casual Salt Bar and Grill which is suited to vacationers seeking a casual meal or a place to enjoy happy hour. Blue Haven Resort also has MARKET, a gourmet grocery store and café that serves some on-to-go food such as sandwiches, salads and pastries. Guests of Blue Haven Resort can take a complimentary dining shuttle to dine at Alexandra Resort and Beach House Resort. The complimentary shuttle operates daily and reservations are required. 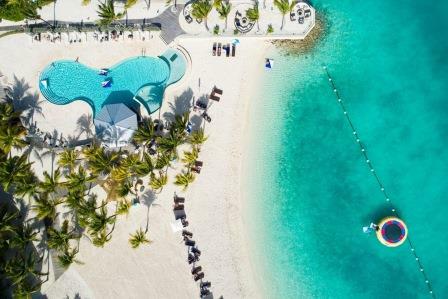 Blue Haven Resort represents the perfect spot for excursions and watersports activities arranged through watersport partner Big Blue Unlimited. 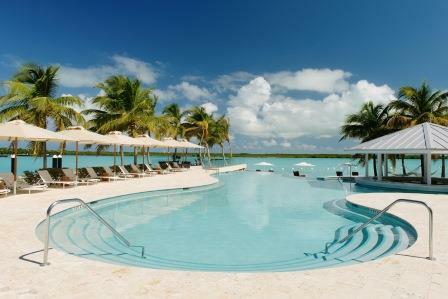 Next to the infinity edge pool that overlooks the mangroves and features a swim up pool bar, Blue Haven offers a 24 hr. resort gym that allows you to keep up your fitness during your stay. 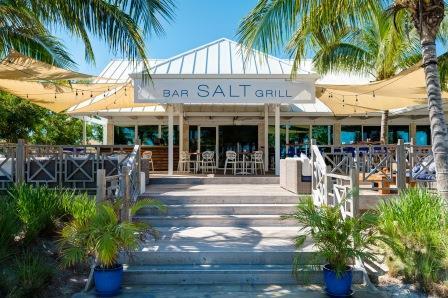 Also available are beach volleyball, horseshoes courts as well as an oversized chess board to be enjoyed while taking in the stunning views and a couple of cold drinks from the SALT Bar & Grill. Sandpiper Kid’s Club at Blue Haven Resort is available for guests ages 4-12. Reservations required (24 hours in advance) and child must be fully toilet trained. 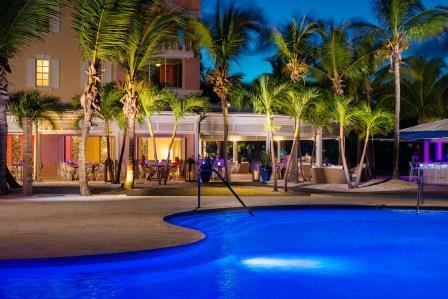 For additional information or reservations contact: guestservices@bluehaventci.com. 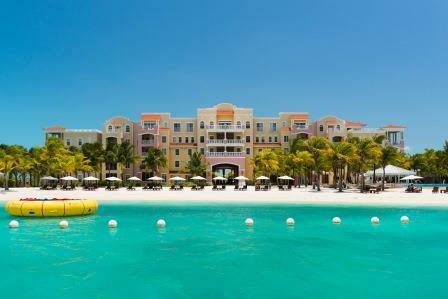 Spend the day at Beach House on Grace Bay Beach! Blue Haven Resort guests receive complimentary transportation to Beach House and free use of their beach amenities. 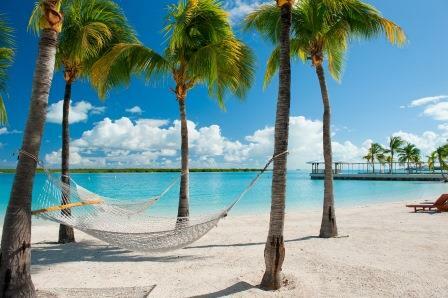 • Amenities include: sun loungers with umbrellas, stand up paddleboards, kayaks, a Hobie Cat and towels. • Guests may also sign food and beverage purchases to their room at Blue Haven Resort.